The awkward and sweaty young man in a hoodie has evolved into a confident and effective communicator who is a good front person for Facebook. Facebook's CEO cut an impressive figure in two five-hour stints in front of Congress this week. It’s not easy facing down Congress for a concerted period of time. Hicks endured a nine-hour grilling before a House Intelligence Committee in February in which she apparently admitted telling a few "white lies" on behalf of President Trump. The next day she resigned and she ended her stint as White House communications director on March 29. 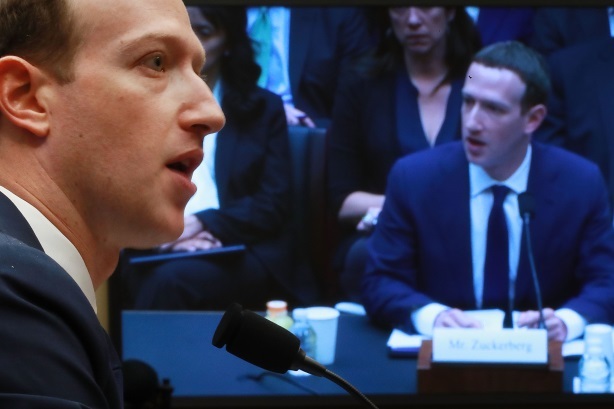 Facebook CEO Mark Zuckerberg had his own brush with Congress this week in two five-hour stints on Tuesday and Wednesday. These interrogations were a critical stage in the social network attempting to apologize for and draw a line under the Cambridge Analytica data-sharing scandal. Let’s set aside for a moment concerns about the fundamental lack of understanding by members of Congress about the issues at stake in this episode, which meant Zuckerberg was able to take the high ground in patiently explaining the issues to clueless politicians over and over again. This knowledge gap is increasingly problematic and will arise more often as time goes by. Anyway, the main takeaway is that Zuckerberg came out of the hearings well. And his skilled communications performance, allied with careful planning and apologies by the Facebook comms operation before and during the hearings, led to a very positive impact on the perception of the company and its share price performance. Facebook’s shares stood at $185.02 on March 16, the Friday before the scandal broke, before it started plummeting down to $152.20 on March 27, the day after the FTC announced an investigation into the company, shedding billions of dollars in market capitalization. Shares began an upward spiral on Tuesday during Zuckerberg’s hearing and have continued rising this week, back up to $164.60 today. The CEO, who hasn’t always been associated with effective communication, arrested the share decline and perception deficit and set the ball rolling in a positive direction again. The suited Zuckerberg’s performance was a far cry from his early days in the public eye, when he came over as painfully shy and awkward. Who can forget Zuck’s interview with Walt Mossberg and Kara Swisher eight years ago at the All Things D conference. Confronted with an earlier controversy around privacy, he sweated so much he had to remove his hoodie half way through the interview. His speech was pinched. He came over as defensive, hesitant, and obviously very nervous. Some of his stories fell flat. When Facebook went public in 2012, the company adopted an arrogant approach – refusing to come to the East Coast like most other enterprises that file, preferring instead to broadcast live from its campus in Menlo Park. The market reacted negatively, Facebook lost $35 billion in just 10 days after the IPO, and it took the company a long time to regain the lost ground. Zuckerberg is a much more experienced businessperson, public performer, and human being now. It’s easy to forget he was in his mid-twenties back then. He’s now inching toward his mid-thirties, married, and a father of two children. Facebook has had to learn to be at least a little humble and to confront its responsibilities as a media owner – because that is what it is, however much it argues otherwise - to moderate and regulate the content on its platform, and learn about how the Beltway works. Zuck took the Congress appearances very seriously, underwent days of coaching, and had his talking points carefully mapped out in front of him. And, unlike President Trump, he stuck to them. He’ll never be the world’s greatest communicator, and he’ll always look a little awkward in a suit. But the transformation from the awkward kid who sparred with Walt and Kara to the confident, patient, and effective performer on Capitol Hill was striking. As ubiquitous analyst Brian Wieser pointed out, there are still many regulatory headwinds on the horizon and both sides of the aisle remain in the mood to impose regulation around data protection and investigate Cambridge Analytica - there is also the specter of GDPR looming in Europe. But well done Mark Zuckerberg and well done the Facebook communications team that prepared him for his ordeal this week. His decision to go in front of Congress proved to be the right one. And it underlined the power of effective communications. Zuck has also been asked to go before a select committee of MPs in London but has so far declined to attend - he is sending a surrogate in his place. I believe he should reconsider and demonstrate his newly acquired communications savvy in front of the U.K.’s politicians as well if he is to continue this charm offensive and restore the iconic social network’s reputation.